Pierre is the founder and CEO of Voluntis, a digital therapeutics company focused on medication therapy optimization. Based on the Theraxium platform, Voluntis digital companions empower people to self-manage their treatment in remote collaboration with their healthcare teams, notably in diabetes and oncology. 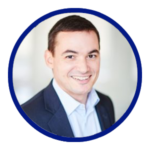 Pierre has 19 years of experience in the digital health sector in Europe and the US. He previously worked at GE Medical Systems and Healthcenter Internet Services. He is the coordinator of eHealth France Alliance, which represents companies active in the digital health space in France. Pierre holds an MS in Computer Science from Ecole Centrale Paris.